Em always wanted to be a writer, her son tells us. Through her letters according to him, she was always “demonstrating her charm, her effortlessness her skill.” Nobody took her seriously as a writer, not even her word-wise son, who thought, “she wrote as she broadcast without much effort, without much thought,” with the reasoning that effortlessness is not easy to achieve and its weightlessness is in direct proportion to the effort put in. Em or Imelda, hence lived a difficult life as the mother of Tsu (Susan) and the nameless little brat who actually is quite a discerning, yearning little boy grappling with his mother’s truth and fictions. To him, she is also a writer “who lifted off without effort”, and seemed to have no reason to write other than her sheer will for it, no audience but her children. They are not the perfect family, and they don’t pretend otherwise. Em is mad madder and Muddhah (where the superlative for mad is mother no less) and she knows it. And she teaches her kids to live fully, earn their own little joys and freedoms, to listen to your heart and head and with the least lies it takes to live a simple, gratified life. Yes, these are lessons, chronicles from her growing up, adolescence, dating, financial learnings, marriage, motherhood, the novelty of her firstborn, and the weariness and doom with her second, the several almost-borns she confessed to bumping off in the her hot ever-ready ‘oven’ itself. If her stature is middleclass, her demeanour always rebelling against it. She lives by the virtue of living freely and with abundance, holding on her ideals of staying strong through thick and thin with sick and kin. This is a story of a child’s despair and not just his mother’s, of growing bonds between a mother and her family in the worst of times. Although the son tells us the story, we are seeing it through the mother’s droopy, hazed but no less scathing eyes. Em was always ill after marriage. The kids try getting to the bottom of her despair to understand where she came from, what it was they could un-do. They realise they often hungered for more of themselves in her, in search of a question to their own guilty curiosities: would they outlive her illness, and would her illness become theirs? How could they ever know for sure? If despair ran deep, compassion hit deeper. Em was in a bad shape, but couldnt be bothered. She was completely herself till the end. She was not shy or afraid of being herself, wanting her way. Her life was remembered as divided into darkness, Lithium Carbonate and then darkness. Her two year dawn was when Lithium showed up on her doorstep like a miracle drug, but one requiring proper administering, as excess of Li2CO3 accumulated like poison in the body. Always at home at the hospital, she would dole out advice to co-patients and their partners who returned her cheeky candid comments for cures with affection and mainly condescension. She would offer pointed advice, and be hated. Indian women fall ill so that their husbands can hold their hands, she said. Her depression would make her beg, “Kill me.” But if her life didn’t make sense, could her death even begin to compete with the nonsense floating about in the world? To ease the pain, her son would sometimes give her five orange Depsonils when her prescription said one. A feisty little mousy doll she might have thought herself, even as she fondly gazes back at the hot item she was in her youth, the ‘buttercup’ of her husband’s (then colleague) eyes. Em did everything, spared nobody. She always was wary of being (spits venomously) a muddah and loved and resented it through her every action, gesture and thought. Her confessionals were little fond lessons in life she took great joy in sharing. The story grows on you like an illness until you know it inside out and are holding your breath to break free of it. 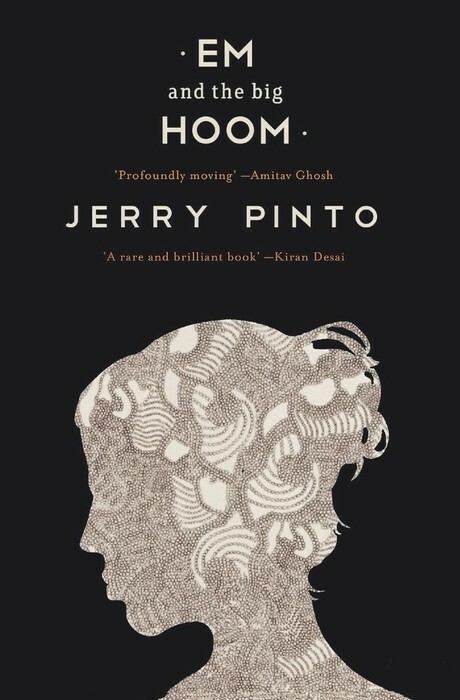 Jerry Pinto writes with passion flair and humour about the ills of growing up and growing close to the ones you know most but understand the least. Living with illness is hard. Harder for those who suffer it in second and third person, every single day, unbeknownst to the logic of your ailments, unsure of whether a cure exists in anesthesia or in the persistent atheism that allows for others to agnostic in their beliefs, while living a life without god which despite all its bleakness is easier to accept than the presence of a divine force. Em lives hard. Em loves harder. And hallucinates the hardest. For her “Rejoicementation is the opposite of lamentation.” I still don’t know what Em suffered from. She was constantly being shifted from one hospital to the next mental asylum, diagnosed with bipolar depression but never given a concrete name or specific condition, perhaps a statement on the health system that exists in our cities for niche and fringe illnesses that Western countries seem to have more provisions and care giving structures for. Was it Alzheimer’s or Parkinson’s, or another hybrid mental disease? The memory of Em, is the memory of all things just and noteworthy. In the book Em wants to donate her eyes before dying; in reality she has donated her eyes to everyone who reads this book including her son, who also gives us glasses. This is the best novel I have read in so long. The physical hardback is a beautiful one with purple coated page edges. How prescient of me, it turns out Mr. Jerry Pinto’s Birthday is today!